At times, we all struggle to see results from your inbound marketing in health and wellness. Inbound marketing requires persistence and is not a strategy that leads to results immediately; it is a long-term digital marketing strategy that over time leads to an engaged and motivated audience. Your business digital marketing strategy is the starting point to any content marketing or inbound strategy. In this blog we’ll be taking a look at common KPI’s we see our health clients track, we discuss whether inbound marketing works for wellness practices, and the 5 keys to creating a strategy that works for your practice. 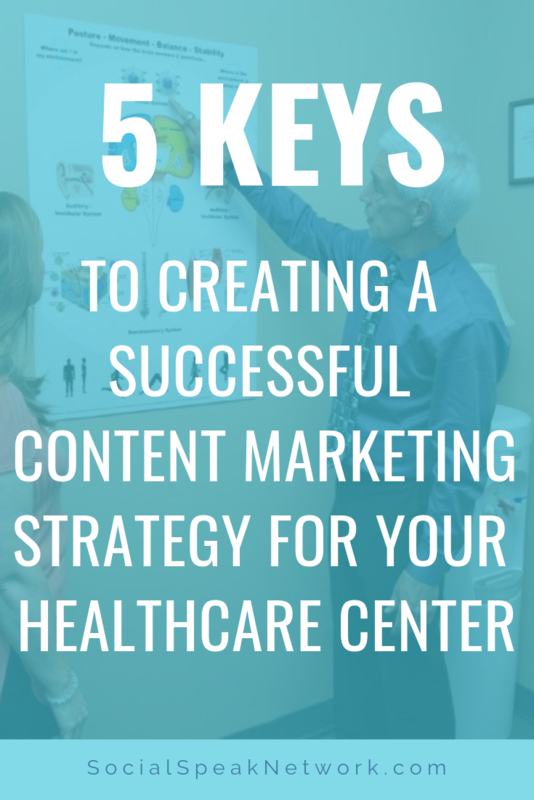 Then the blog takes a quick look at technologies to use to manage your content marketing for healthcare and finishes up with an overview of how your content marketing strategy fits together with your content marketing plan. 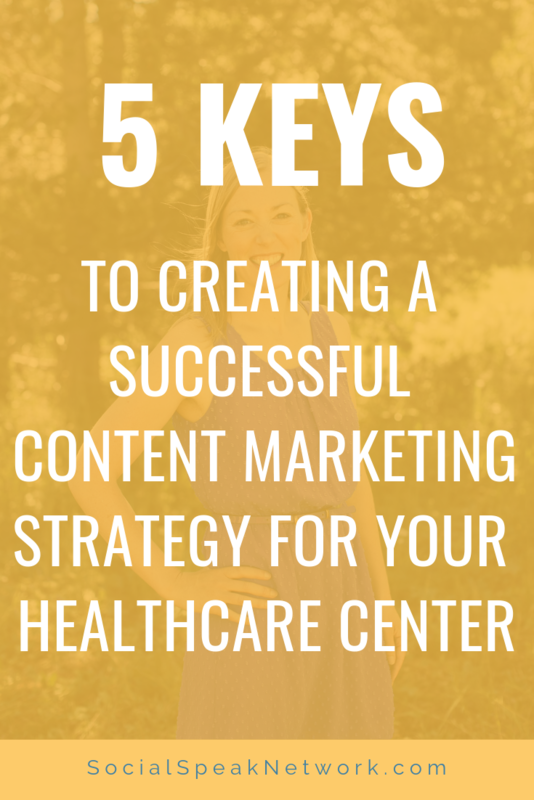 A Content Marketing Strategy is Designed to Identify your Healthcare Goals. We work with clients in healthcare and wellness and have found there to be some typical goals that are identified in their marketing strategies. Once you have your goals identified for your content marketing strategy, it is important to put in place a tactical content marketing plan that identifies not only what types of content you will be creating for your wellness center, but also the frequency and who on your team is in charge of actually creating the content. Does inbound marketing for wellness practices work? Where many businesses fall short and don’t see results with their inbound marketing is when they view each part of this content marketing plan as a separate vertical or separate marketing channel. Viewing each as a separate campaign causes the attention to efforts to switch from being centralized on the goals of your business and causes teams to often forget to integrate national events and national observances in their content marketing. In our experience we have found a few key determinants in creating a content marketing strategy that will work for your business. Don’t view content marketing as a campaign. Campaigns have start and end dates, campaigns aren’t long term, and campaigns focus only on one aspect of marketing. Content marketing is a tactic that can impact larger processes in your organization. It can aid your sales team in closing deals, keep your patients and clients coming back for more treatments, and satisfy long term goals such as education, building trust, and standing out in the community. Ask for insights from other departments as you build your strategy. Above, I’ve listed off some common goals that our clients identify within their content marketing strategies. As a marketing team, there may be clear KPI’s that you can measure, but what you’re your board or management want to see measured? In addition, where are other bottlenecks in the larger organizational scope? Often times we see practitioners and MD’s provide patients with handouts and checklists – could these be used as marketing collateral? Plan to integrate content, stories, and research from others within your organization. While you are creating your marketing strategy, get commitment from the individuals you would like to see participate. Just through everyday interactions, you may know one or two people in your organization who would just shine on camera or who can break down complex topics into easy to understand, education blog posts. Encourage your patients to share their stories. Use marketing as a way to showcase the transformations of your patients. In your marketing strategy, clearly identify your brand persona and voice. One tactic we use with our clients as a way to identify this is to create a Persona for your brand. Are you a super hero? A working mom? Etc. Then, think of the specific language you should use in your marketing. Do you want to encourage your team to use slang or to stick to professional and technical terminology? Additionally, think about if there are there any adjectives, verbs, or phrases that are commonly used in the office or with patients? You may want these to appear in marketing content. Having clear guidelines allows any member of your team to write in a similar voice or edit and approve content written by another member of the team. What technology is needed for Content Marketing Management? Key software to use for inbound and content marketing include Hubspot inbound, CoSchedule, and other project management tools online. To get started, however, you really only need a WordPress (or other easy to update CRM) website and MailChimp. This allows the avenue to share information and grow your email list for ongoing communication. We previously wrote a blog on management and accountability software for content marketing management. Please take a look for an in depth review of some top project management tools based on your organization size. As mentioned in our blog last month (Is your Content Marketing Plan Failing your Business) we discussed how your digital marketing strategy really is the framework for your business to follow. Now, the second piece of this includes the tactics that you actually will follow to reach your goals. These tactics are identified within your Content Marketing Plan. How I view marketing strategy vs marketing plan is that the strategy remains fairly stagnant for a set period of time. The plan, on the other hand, can be changed based on performance and progress towards reaching the identified KPI’s. As you are implementing the content marketing plan, you will be able to measure results, decide what is working, and make adjustments for the future. With this said, however, we do recommend sticking to a tactical content marketing plan for at least 6-12 months. Yes, you will at times publish a video, blog, or social media post that leads to immediate results, but in general, processes take time. Social Speak specializes in helping marketing teams in health and wellness clearly identify their content marketing strategy. We create comprehensive content marketing strategies, identify who in the organization or on the marketing team is best suited to create different types of marketing collateral, build out a comprehensive editorial calendar for your team to follow, and are there by your side coaching your team monthly on best practices to capture more leads, convert new prospects, and re-engage existing or past clients. If you are working to grow your center to the next level and are interested in learning how content marketing can help you see the results you need, let’s chat. Click here to learn more about the Social Speak Roadmap to Digital Marketing.